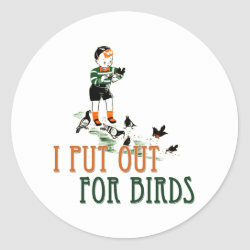 This is an innocent vintage illustration of a little boy feeding birds. 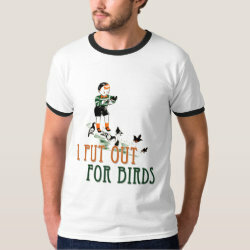 This cheeky caption reads I Put Out For Birds. 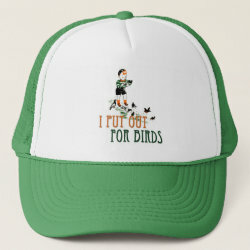 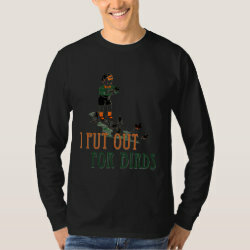 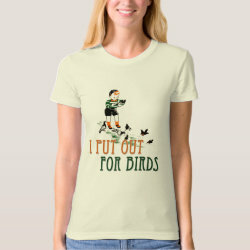 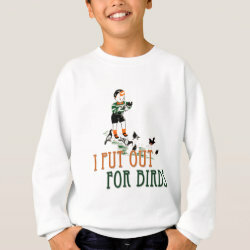 This funny design makes a great gift idea for anyone who's easy -- about feeding the birds.